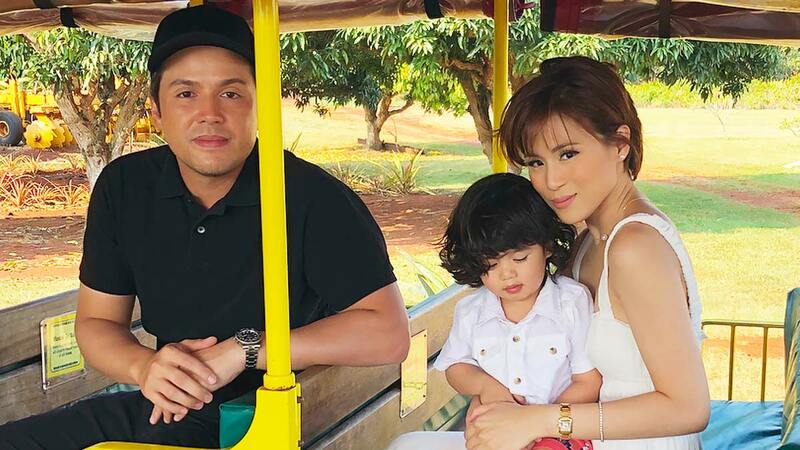 Toni Gonzaga proudly called herself "a typical mom kung saan addict sa discount, addict sa sale." She told PEP.ph, "I'm very practical, I'm very matipid." Her spending approach especially now that the needs of her son Seve always come first. She learned about buying quality without breaking their household budget from her husband Paul Soriano. Toni continued, "When it comes down to your family, especially when it comes down to Seve, sabi niya always invest with the right brand and the right product. Siya yung nagsabi sa akin nun. You get what you paid for. Sabi niya, 'Kapag cheap, e 'di cheap yung quality makukuha mo.' Lagi siyang ganyan. You get what you paid for, so don't complain. Sabi niya sa akin, when it comes to Seve, he deserves the best brand. Give him the right brand, huwag mo siyang tipirin." Toni was surprised to see how her shopping habits changed when she became a mom. She said, "Ang weird nga, e. Before when I was still single, when I didn't have Seve, okay lang sa akin yung hindi discounted, hindi sale. Nung naging mommy ako, nakaka-addict pala yung word na 'sale' saka sa 'discount.' Kapag nakakarinig ka '50 percent off,' kahit wala ka namang bibilhin papasok ka lang kasi sabi mo, 'Ay sale!'" But Toni acknowledged that the way she handled her money back then made the difference now. "I realized when I was still single, hindi naman ako ang may hawak ng finances. Ngayon, alam ko na, 'Ah, ganito pala yung expenses. Ganito pala yung budget.' Naglalaan ka ng priorities, necessities, at saka yung luxuries." At this point, luxuries are her "bottom priority." PEP.ph spoke with Toni at the Trinoma Activity Center on November 19.